Our nutritionals business has leading positions in three key regions, selling well-established, high quality brands. The rigorous safety and quality standard required in the manufacture of infant milks is consistent with the standards of our pharmaceutical production, providing additional credibility to our brand offerings. We manufacture and market well-established quality brands in sub-Saharan Africa, Australia and Latin America. Nutritionals revenue declined by 2% to R3 091 million. Over the course of the 2018 financial year, we commenced the transition to Alula, our new global infant formula brand, across all our territories. Sub-Saharan Africa revenue grew 4% primarily driven by performance in South Africa. 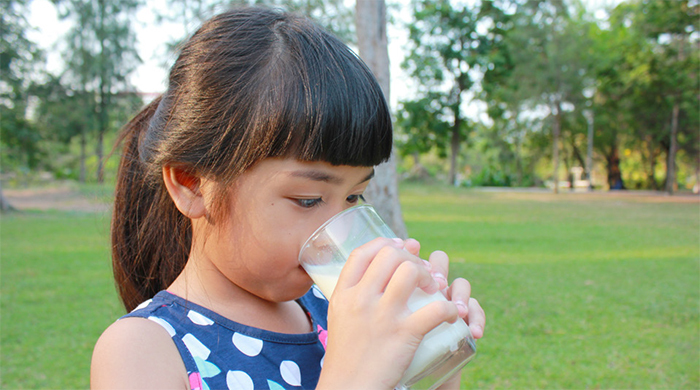 Infacare cemented its position as the biggest infant milk formula brand in South Africa as volumes in the economy brand segment continued to grow. Alula was launched in the first half of the 2018 financial year in China and registration of the brand was approved in January 2018. The China Food and Drug Administration ("CFDA") introduced new regulations in 2016 stipulating that only CFDA approved brands would be sold in the People's Republic of China after 1 January 2018. The registration approval was an important milestone in growing our brand presence in China. Performance in Australia continued to be impacted by poor market dynamics. Feedback received from our commercial activities was, however, positive. Retail listings were maintained or improved, healthcare professional recommendations of the brand increased and consumer feedback on the perception and profile of the S-26 Alula brand remained strong. Revenue in Latin America declined 9% to R1 290 million. While this remains a challenging region, we were encouraged by the positive growth in Infacare revenue as well as in Peru which grew in double digits. In January 2018, we announced that we would be embarking on a strategic review of our Nutritionals business as we were exploring options to enhance value derived from these quality assets. 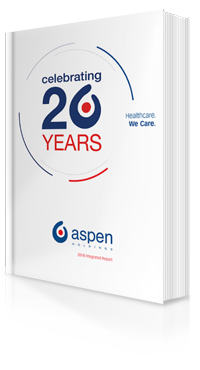 The acquisition of the Nutritionals in April 2013 presented a good commercial and strategic fit for Aspen, given our track record with our Infacare brand in South Africa. Furthermore, our strong presence in Australia's grocery and OTC market segments would be further augmented by the addition of Nutritionals. In recent years, we have re-aligned our strategy and focused more on specialised therapeutic areas which we believe will drive sustainable growth for Aspen. This has meant considerable investment in establishing and growing the Therapeutic Focused Brands from a commercial and supply chain perspective. As the strategy has evolved, we became increasingly aware that we were not in a position to fully unlock the value of the Nutritionals business and that we needed to consider whether this portfolio would be core to our future business. In the course of the comprehensive strategic review that involved the assessment of a number of options, it became apparent that the best value realisation would be achieved by outright disposal. On 13 September 2018 we announced that we had concluded an agreement to divest the Nutritionals business to the Lactalis Group, a global leader in the dairy industry based in France, for a fully funded cash consideration of EUR739,8 million. Lactalis' strategic intent is to develop a global infant nutritional business to complement their existing global product range. The transaction is a compelling opportunity for both the transferring Aspen employees and the shareholders of both Aspen and Lactalis. The Nutritionals business will be reported as a discontinued operation in the 2019 financial year results and all associated operational costs will be accurately allocated based upon the terms of the transaction with Lactalis. The sale is conditional upon the fulfilment of a number of conditions precedent.